Complete the Interest in Enrollment form. You can download a copy by clicking here and printing it using the print command on your browser. You may also obtain a copy by calling or visiting the school office. Copies of previous report cards. All Kindergarten students are required to participate in a two-part enrollment process. The first is what is called a screening. Each kindergartner meets with the Kindergarten teacher for 15 minutes. Following successful completion, the prospective student is scheduled for a "Mock Kindergarten Class." Following successful completion of the mock class, children are admitted according to the above stated priorities. 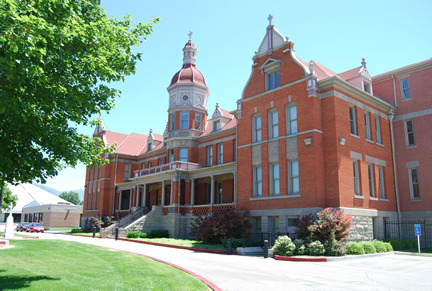 Parents wishing their child to attend Kearns-St. Ann School for the first time are also tested. For grades K-3, the test takes about 30 minutes. The test for students entering grades 4-8 takes about 2 hours.